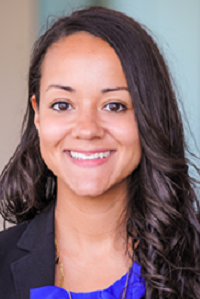 Dr. Ashburn-Nardo and her lab focus on documenting the various ways that women, African Americans, and other underrepresented groups are stigmatized. She is especially interested in biases that are unexpected or counterintuitive, such as microaggressions that happen in professional contexts where formal discrimination is prohibited (e.g., the workplace, academia, healthcare) and intra-group prejudices in which people are biased against members of their own in-groups. Much of her research concerns individual strategies that stigmatized targets and their allies can use to reduce prejudice and foster inclusivity. Professor Pietri’s lab focuses on investigating how basic processes in social cognition and attitudes influence a variety of domains that are pertinent to real-world issues and can guide interventions. Much of her current research focuses on reducing biases and promoting diversity in science technology engineering and mathematics(STEM) fields. Current projects include testing the benefits of video interventions to reduce bias and exploring who functions as beneficial role model for women of color.